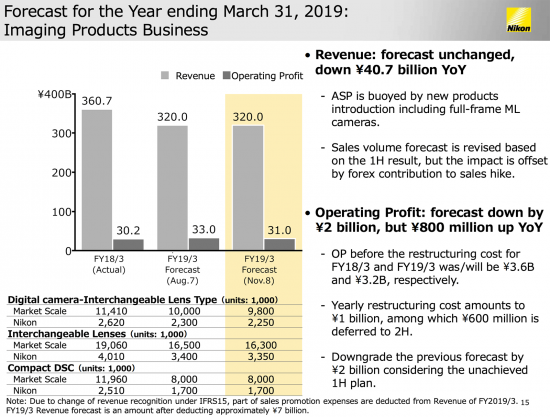 Operating profit was ¥30.6 billion, up ¥7.6 billion. Restructuring improved profitability, posting a record gross profit in 10 years. 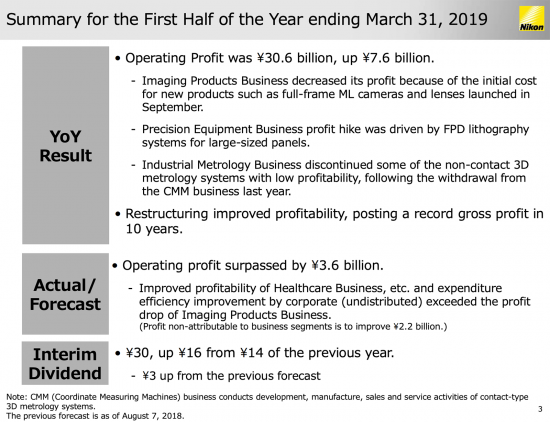 Operating profit surpassed by ¥3.6 billion. Dividends are now ¥30, up ¥16 from ¥14 of the previous year. 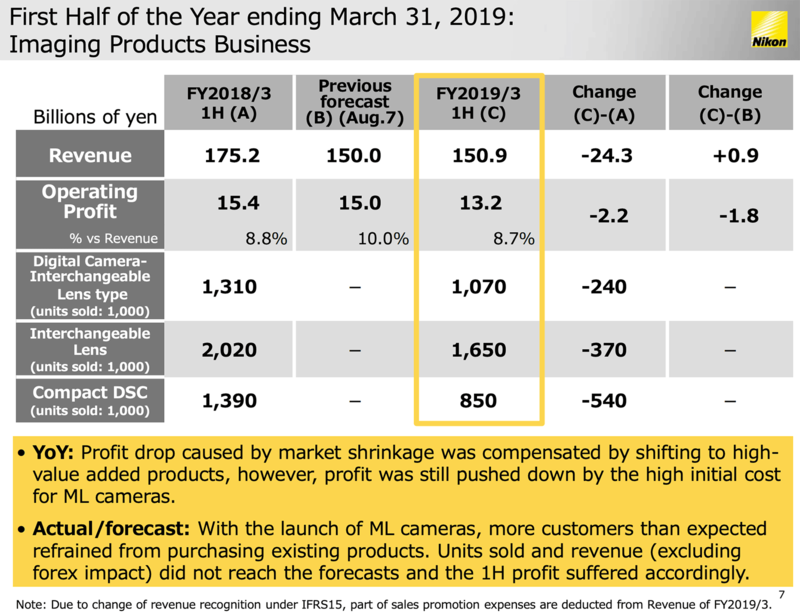 Niko also increased their cash dividend per share. 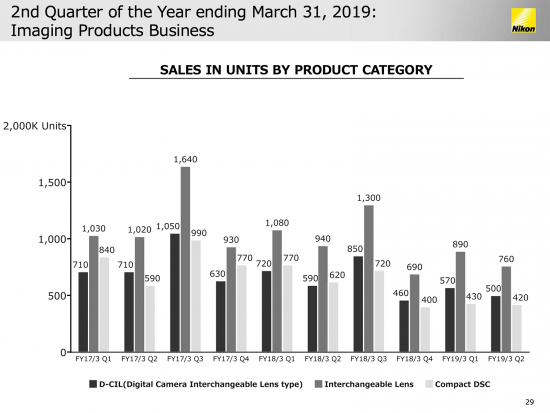 The post Nikon Q2 financial results are out appeared first on Nikon Rumors.